the wish to be ‘wholesome’ chugs along. Beyond all this, the wish to be alone. 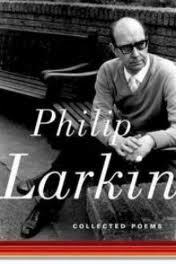 Here reading Larkin is more reading a Poem-- a cerrtain pholosphy. Reading Vikram is more reading a prose, a protest. At least not a Poem. Thank you for sending us some of your work to look at for magma...I liked Pilip Larkin the best, especially the last line, more distictive and unusual than some of the rest. read it in IL. Good comparision.